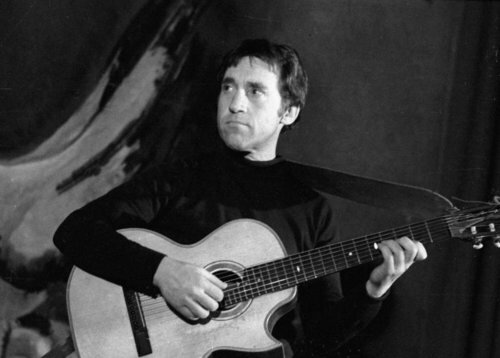 Join us at The Museum of Russian Art as we celebrate the life and legacy of Vladimir Vysotsky – renowned Russian actor, a poet, and songwriter – often referred to as “The Russian Bob Dylan, “Russia’s Breath,” and an “Encyclopedia of Soviet Life”. Born exactly 80 years ago, at the very peak of the Stalin’s purges, Vysotsky was known for articulating the major value and deficit of this era — Freedom. Freedom of thinking, freedom of self-expression, freedom of lifestyle. Due to the profound authenticity of Vysotsky’s lyrics, it is commonly believed that they are untranslatable. 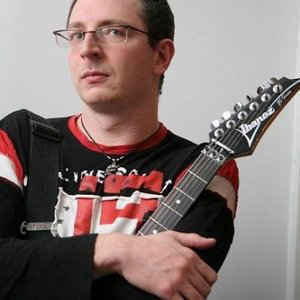 Performer and translator Vadim Astrakhan (New Jersey) has been successfully challenging this notion with his 10 year-old project – Vysotsky in English . Astrakhan will perform golden hits of Vysotsky in both Russian and English. Each song is intertwined with the story of its creation, thus highlighting the most notable facts of Vysotsky’s artistic career, as well as of the era of which he was a product. 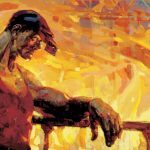 Vysotsky’s poetic and performing passion, his prophetic vision of Russian past and future, and his unique sense of humor – this is what Vadim Astrakhan seeks to recreate in his translations and performances. Join us for a night of celebrating the legacy of Vladimir Vysotsky. Sing-alongs guaranteed! This activity is made possible by the voters of Minnesota through a Minnesota State Arts Board Operation Support grant, thanks to a legislative appropriation from the arts and cultural heritage fund.